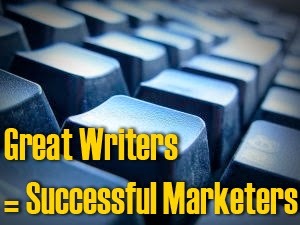 Why Skilled Writers Make Great Internet Marketing Professionals. If you have studied online marketing, you are surely familiar with the term “content is king.” Marketers, PR professionals and SEO companies love to talk about it. In today’s world of Internet marketing, is content really the king? The answer is yes. There is a large variety of content including photos, videos, blog articles and podcasts that will do wonders for a business. However, online marketers who do not possess writing skills might experience limited success. Sure, you can accomplish quite a bit without copy and you may even be very successful, but it will be a significant challenge. Text content is generally the best way to improve your website, build relationships online and convert visitors to customers. Below I discuss why skilled writers make the best Internet marketing professionals. "Well-written copy will enhance your search engine optimization (SEO) strategy. First of all, the higher up your website shows up on the major search engines, the more visitors (traffic) you will get. 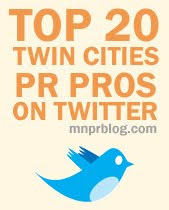 The more traffic you get, the more sales you get (as long as you have a nice-looking website)," said Andrew Rice, spokesperson for a Minneapolis SEO company. So how does copy influence your search engine results page (SERP) rankings? The more text you have on your website, the more information you are giving to search engines. In other words, adding copy means that you are covering more topics and that will improve your chance of ranking for more search terms. For example, If you are a home improvement professional, one paragraph on your website might help you rank high for “home improvement.” If you write more copy, however, you might add in more terms like “home renovations” or “home building” and you will rank for them as well. Tip: Google does not focus on keywords like it used to. That is why you should disperse your copy to separate linked pages instead of placing it all on one. The best practice is to make several pages, each with a slightly different topic that relates to the main topic of your website. You can then link to these pages from your home page. For example – using the situation above – your home improvement website might talk about kitchen remodeling, bathroom remodeling and basement remodeling. Each of these topics should be written about on their own page linked to from the home page. Abundant text (as long as it is relevant) has a better chance of sparking the interest of users online. If they find your writing compelling, they might link to your page. Getting links is a major factor when it comes to improving your SEO strategy. More relevant links will help you climb up the search engine rankings. Quality text can help you build relationships online. More copy will help to attain more readers. Some of these readers might enjoy your copy so much that they will help you promote it through their personal social media pages or even on their website. If they are a popular personality online, they can expose your brand to thousands of users. More copy will generate trust from your potential clients or customers. To put it simply: if you are able to write an abundant amount of text on a subject, then you probably know a lot about that subject. If your website does not provide much information on the service(s) you offer, then you do not appear like you are an expert. On the other hand, if you have more copy, not only will you look like an authority on the subject, you will appear enthusiastic. This will attract your website’s visitors and there will be a much better chance that they will become customers. If you work in Internet marketing or you are seeking a job in the industry, improve your writing skills. Why? It is because writers – especially copywriters – are incredibly useful for a company that plans to improve its online success.